At the moment it cannot be done through the GUI. But when you create a new VSwitch with Powershell you have the NAT option for the SwitchType parameter. 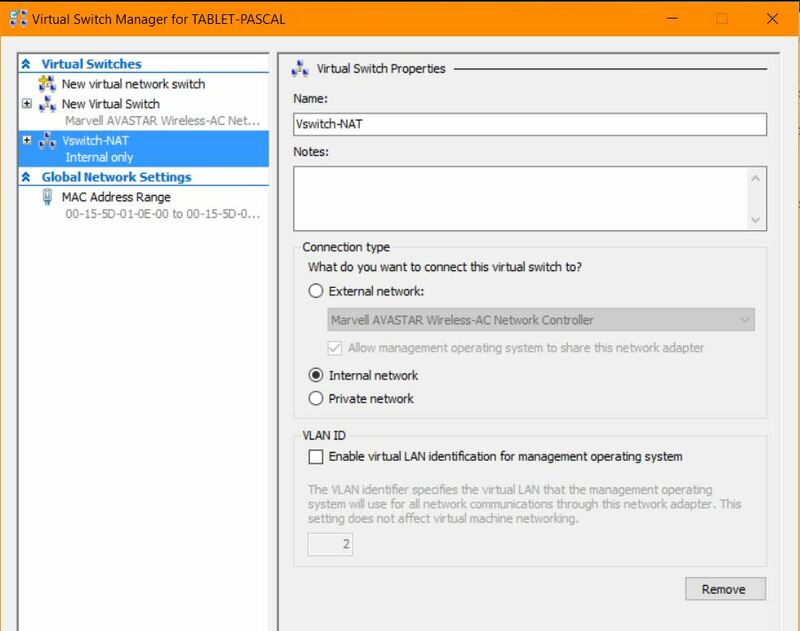 Now we have the Virtual Network on the VSwitch, but no gateway for the VM’s in the network to connect to. For a gateway we create a new Virtual Nic on the Vswitch. The new NIC is created with 10.10.0.1 as IP address and connected to the new VSwitch. 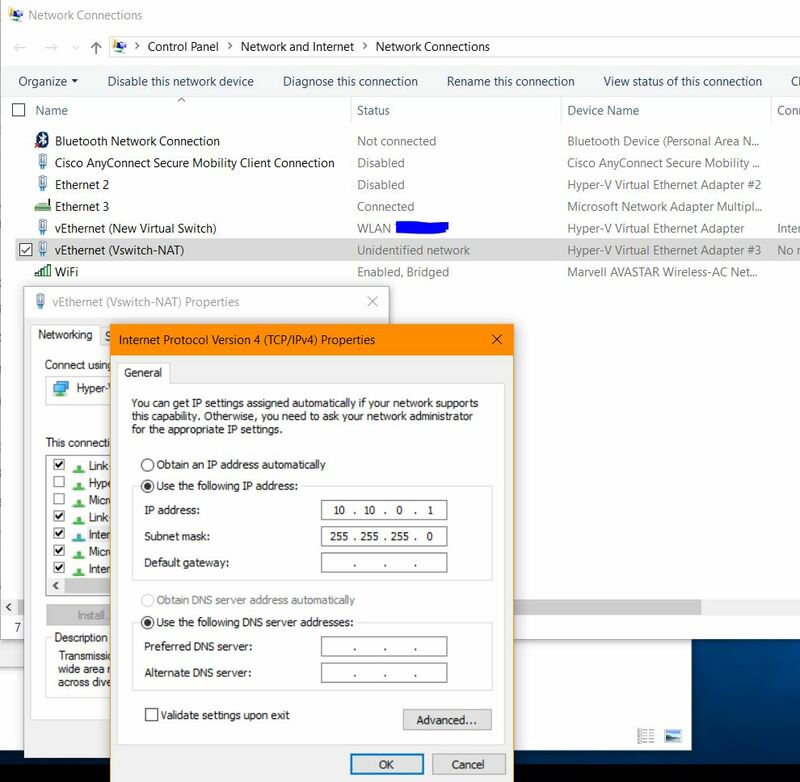 Now connect your VM’s to the new VSwitch and configure the VM’s with an IP Address from the NATSubnet and you have a Internal Connected network with Internet and Network access.